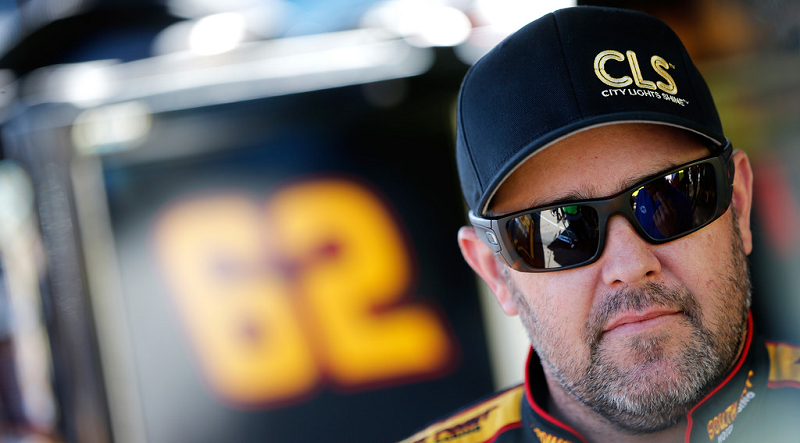 Brendan Gaughan stands in the Phoenix Raceway garage Friday (Brian Lawdermilk/Getty Images North America). AVONDALE, Ariz. — Brendan Gaughan put his No. 62 South Point Casino Chevrolet at the top of the board late in NASCAR XFINITY final practice at Phoenix Raceway. The Richard Childress Racing driver snagged the fastest lap of the session at 27.449 seconds (131.152 mph), knocking off Cup regular Ryan Blaney from the top spot in Happy Hour. Blaney paced Friday morning’s first practice and will run his first XFINITY race at PIR since Nov. 2013. Series rookie William Byron was third, followed by Joe Gibbs Racing driver Matt Tifft and Dakoda Armstrong rounding out the top-five. Tifft’s team changed engines on his No. 19 Toyota but will not have to start at the rear of Saturday’s race because the change happened before Coors Light Pole Qualifying. Blake Koch and Justin Allgaier were sixth and seventh, respectively, with defending series champion Daniel Suarez, Elliott Sadler and Erik Jones completing the top-10.